Softball coaches and recruiters never really set down a path to find Victoria De Leon. The Edinburg High third baseman was a first-team all-district performer after batting .415 in 2012, and she helped the Bobcats get to the fourth round of the playoffs and post a sterling 28-5 mark. Despite the feats, she rarely heard from colleges, De Leon said. However, in 2012, De Leon signed on with a then up-and-coming two-year program in Temple College, the 2018 JUCO national champs. She played for a year, then got hurt. She later transferred to Huston-Tillotson in Austin, a program that had been down for years but was beginning to show sings of life under new coach and Edinburg native Roxanne Rodriguez. Fast forward three years, and the Red River Athletic Conference named De Leon the 2018 Player of the Year for her exploits on the diamond. She made the Red River’s first team for a third straight year. The NAIA conference includes Our Lady of the Lake and UH-Victoria, among others. De Leon, who recently graduated with a bachelor’s degree in criminal justice, said she was humbled by the honor, yet gratified because she put so much work into playing at a high level. She certainly did that. In 2018, De Leon batted .441, marking her third season at H-T hitting higher than .420, and she had the conference’s third-highest average. In 35 games, she had 45 hits, scored 28 runs and added 14 RBIs batting sixth in the lineup. She also had a .954 fielding percentage with just seven errors in 153 chances. For her H-T career, she hit .440 with 157 hits, 104 runs scored and struck out just 28 times in 357 at bats. Despite her success, the H-T Rams fell short of postseason success, losing in the first round of the conference tournament after going 19-16 and 14-9 in conference games. However, 2018 marked the first time since H-T softball began play in the Red River Conference (2010) that the Rams have posted a winning record. The H-T roster has 10 players from the Valley. 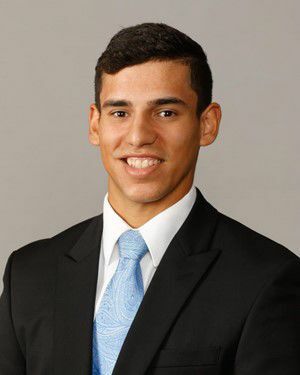 Edinburg North product Giancarlo Servin has done his part to help the Texas A&M-Kingsville Javelinas post the program’s best record in more than a decade and qualify for the NCAA Division II College World Series for the first time in school history. Servin, a freshman infielder and designated hitter, played in 38 games for the Javelinas (41-15) and started 20. An all-area and all-state section for the Cougars, Servin was an ace on the mound. But with the Javelinas, he has not pitched at all. Still, Servin is earning his keep in Kingsville by batting .288 in 80 at-bats, converting 23 hits into 13 runs scored and 14 RBIs. He also picked up 16 walks and has been hit by a pitch four times against 14 strikeouts. The 6-foot-1 right-hander also played some at third base. The UTRGV Vaqueros scuffled this season, but it wasn’t for a lack of effort. The team earned some hard-fought victories and benefitted from players like McAllen Rowe alum Ryan Jackson. The redshirt junior posted a 3-3 record and 3.13 ERA — the best in his collegiate career and second lowest on the team for 2018. The Vaqueros ended up 23-31 overall for the 2018 season. Jackson, a 5-foot-10, 160-pound right-hander, was an all-Valley and all-state selection while suiting up for the Warriors. 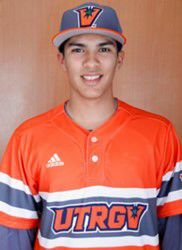 This year in Edinburg, he appeared in 27 games and pitched 46 innings, walking just five of the 169 batters he faced and throwing only two wild pitches all season. He limited opponents to a .225 batting average. McAllen High product Errol Lizzotte, a three-time state qualifier in swimming, is beginning to make his mark in the pool at the University of Texas-Permian Basin. The Division II school in Odessa has a strong swimming program, and Lizzotte flexed his muscle this spring. 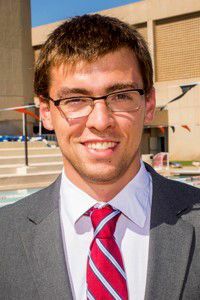 The sophomore who specializes in short distances took eighth place in the men’s 100-yard butterfly at the New South Intercollegiate Swimming Conference Swimming and Diving Championships. Lizzotte posted a 49.55-second mark during the race’s prelims, ranking sixth fastest. He also swam the first leg of UTPB’s men’s 200 freestyle relay that took fourth place (12th overall) in the B final at the conference championships.